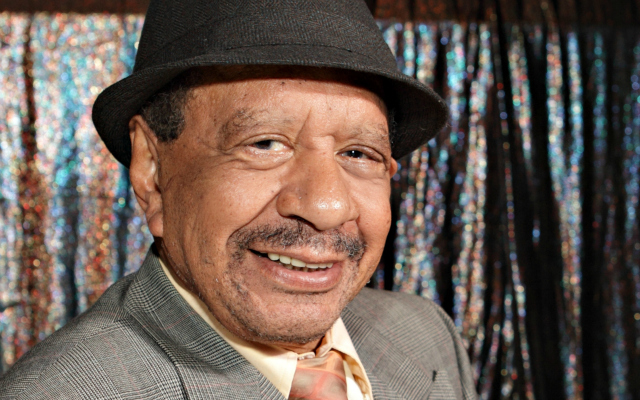 *Sherman Hemsley died at his home in El Paso, Texas on July 24 and has yet to be laid to rest. The holdup, according to Reuters, is coming from the beneficiaries of his will, as well as questions about his exact cause of death. A worker at the Eastside location of the San Jose Funeral Home in El Paso, Texas confirmed to FOX411’s Pop Tarts column that Hemsley was still at the home, and that they were waiting for a court order telling them what to do with his body. It was revealed in August that Hemsley’s body had not been buried amid a legal dispute between his former manager and self-proclaimed business partner and live-in best friend Flora Enchinton – who was named as the sole beneficiary in his will – and a Philadelphia man, Richard Thornton, who claims to be the actor’s brother. Thornton filed a civil lawsuit disputing the validity of the will, signed by Hemsley one month prior to his death. Hemsley had said in media interviews that he was an only child. His estate is reportedly valued at $50,000. Meanwhile, a third person has since come forward amid the battle over Hemsley’s estate, vowing to intervene on the issue prior to the October 31st bench trial date. “There is only one person in the world who I believe Sherman would call a sister, and that is my mother,” Reverend Michael George Wells, a minister at Arch Street United Methodist Church – who claims to be a cousin on Hemsley’s mother’s side – told the El Paso Times, adding that he believes Enchinton was not close to Sherman and that the Thorntons were not related to the late actor. “We are family, and we are not looking for money. But if we are entitled to something, we don’t want anyone else to have it,” he told The Times. Shameful. Where were all these “relatives” when he was living? Something is not adding up with this whole ordeal. Strange dealings. Sounds like this could be featured in the latest installment of The Will:Family Secrets Revealed. It’s on the DiscoveryID channel and features family disputes over the wills and estates of the rich & famous – ie; soul singer Johnny Taylor, actress Joan Crawford, country singer Hank Williams, doo-wap singer Frankie Lymon. Sherman’s situation would fall in line. It’s such a piddling amount, I say let him take it with him.